It is with great sadness that we share news of the passing of the wonderful stallion, Amir Jamaal, one of the last living sons of Ali Jamaal (Ruminaja Ali x Heritage Memory). 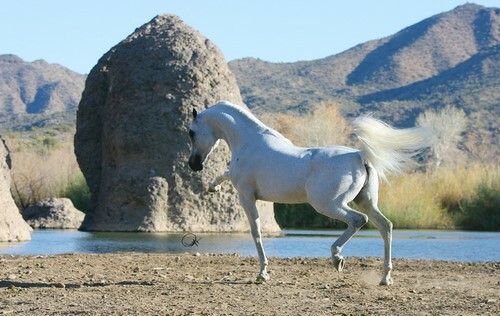 Foaled on 15 January 1992, Amir Jamaal, out of the El Shaklan (Shaker El Masri x Estopa) daughter Luz de Fe (ex Fantasia Castana by Barich de Washoe), lived at Karin McMurtrie’s Hawks Flight Farm in Florida for many years. There, he produced many exceptional daughters for her who have gone on to make their on mark on both the Hawks Flight breeding programme as well as at other selected farms around the world. Amir Jamaal passed away on 6 July, aged 25. Every year, on his birthday, he would celebrate with a can of beer and this year was no exception. 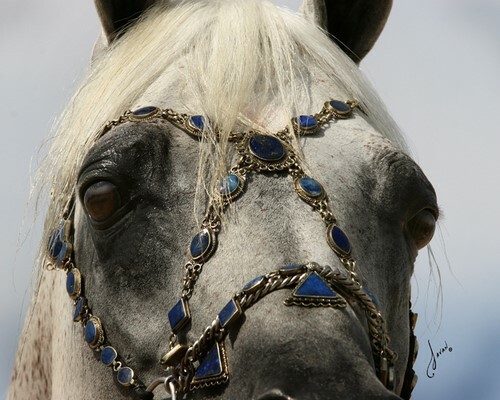 Samantha memorably met Amir this year, and you can enjoy her recount of this special day at The Romance of the Arabian Horse. Our thoughts are with Karin, her husband Mitch, and all who knew and loved Amir Jamaal. Rest in peace, sweet boy.